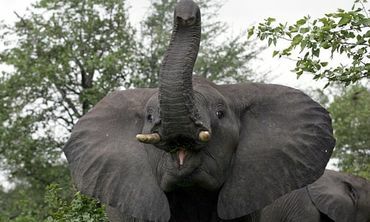 A rhino poacher is believed to have been attacked by an elephant and then eaten by a pride of lions during an incident in South Africa's Kruger national park. focusingonwildlife.com is a bit slow, this story is about a week old. But thanx for posting it for those who maybe haven't seen it yet Ken! Thanks for sharing. I hadn't seen this report.